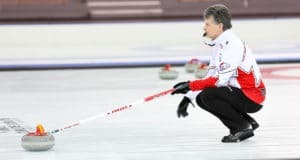 Sherry Anderson and Wade White are bringing home gold medals after sweeping the finals of the 2018 World Senior Curling Championships on Saturday in Östersund, Sweden. White, with his Edmonton team of vice-skip Barry Chwedoruk, second Dan Holowaychuk, lead George White and coach Bill Tschirhart, dominated the men’s final with an 8-2 win over Sweden’s Mats Wranaa, while Anderson and her Saskatoon team of vice-skip Patty Hersikorn, second Brenda Goertzen, lead Anita Silvernagle and coach Bill Tschirhart defeated USA’s Margie Smith 5-4 on a double golden day for Canada. In the men’s final, Canada applied pressure on the Swedes right from the start, stealing six points in the first two ends to set the tone for the game. 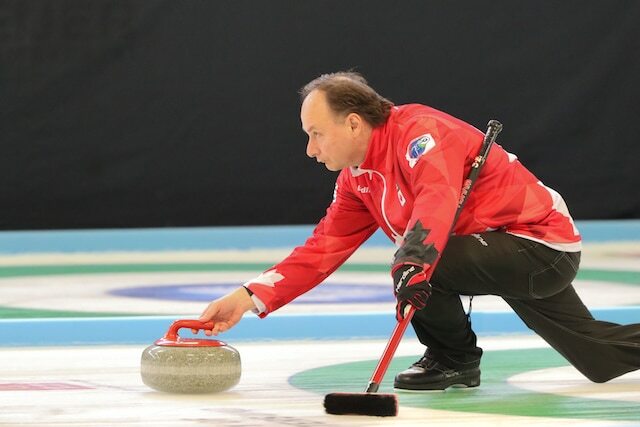 Trailing 8-1 after six, Wranaa conceded in the seventh, giving Canada its first senior men’s gold medal since 2014, when Wayne Tallon won the title in Dumfries, Scotland. 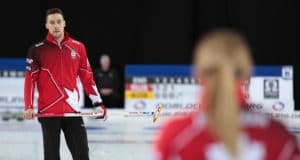 Canada has won men’s silver at the past World Seniors, with the most recent two championship final losses coming at the hands of Wranaa, who was chasing a three-peat in his home country. The men’s bronze medal was won by USA’s Jeff Wright who defeated Muirhead, 7-2. 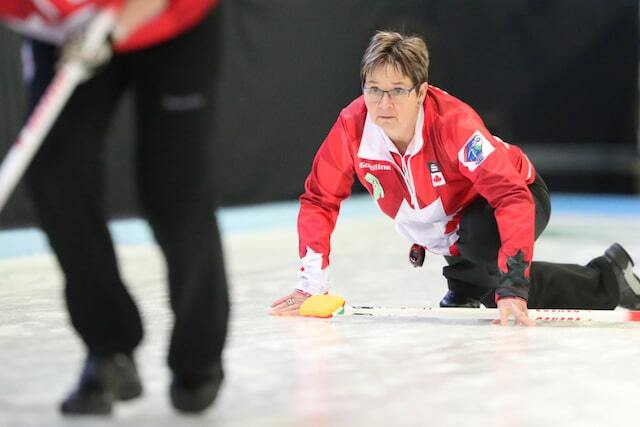 In the women’s final, Team Canada got off to a fast start against USA Margie Smith, scoring a single in the first end and stealing the next two ends. Leading 5-2 after seven, Anderson had to fend off a late charge, as Smith got close with a steal of two in the final end. 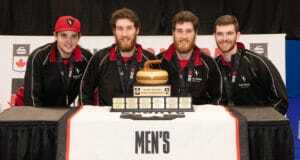 But it wasn’t enough, and Anderson held on for the 5-4 win and another gold medal for Canada. The Canadian women earned their spot in the final with a 7-5 win over Switzerland’s Dagmar Frei in the semifinal earlier in the day. Frei bounced back with a 5-3 win over Sweden’s Anette Norberg to take the bronze medal. Anderson, who represented Saskatchewan at the 2018 Scotties Tournament of Hearts, used her years of experience on the ice to keep cool during the final.